We have a lot of people ask us what the piece looked like before we painted it. Here are a few examples of some items we have done over the last few months. Here is a vintage stereo cabinet. Lucky for us the stereo was already taken out of it (these are stinking heavy when the stereo is still in it). 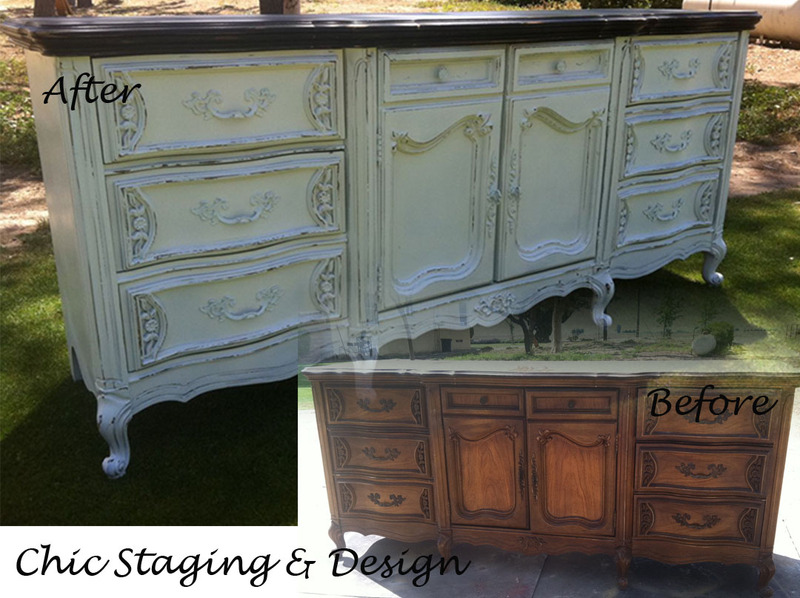 It was a great french provincial style and the cabinet doors slid open for extra storage. We decided to paint it turquoise and rubbed some Howards dark oak paste wax over it. 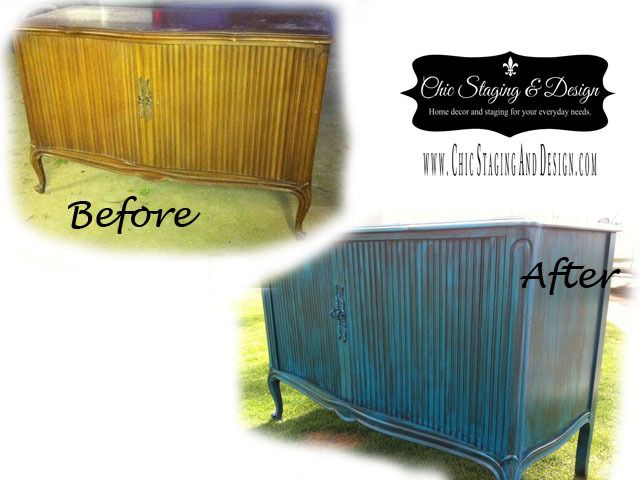 Another great french provincial piece. We can never have too many french pieces in stock! We painted the bottom part a blossom white and the top a canyon black. This piece also had matching nightstands. Distressed it to show off the great detail. This is a basic desk you would find in the 50's. Solid! Painted it a dark brown but the hardware was not cutting it for us. 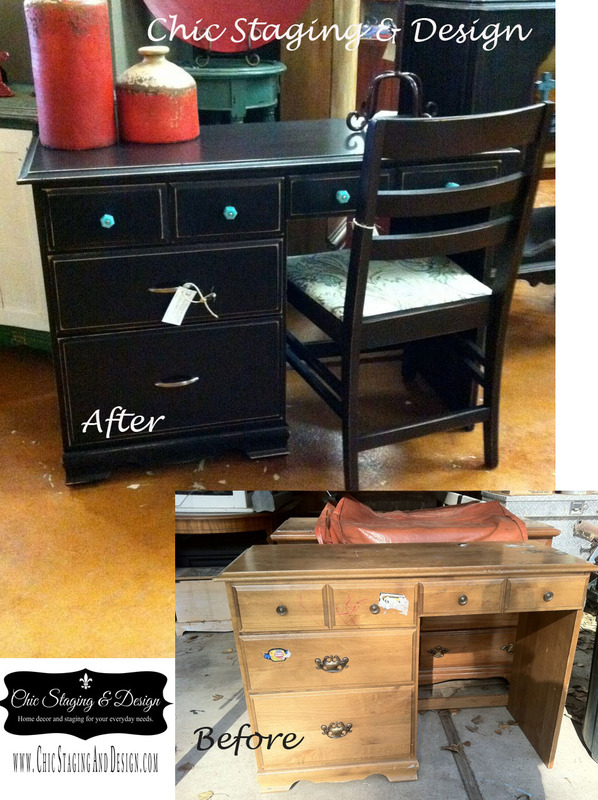 Changed out the top two drawers with turquoise knobs and replaced the bottom two drawers with some simple silver pulls. 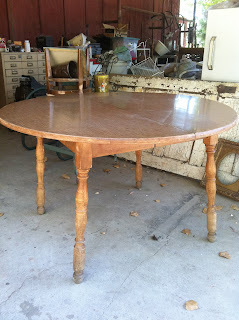 We took the legs from the round table and some 100+ year old barn wood and made a square table. 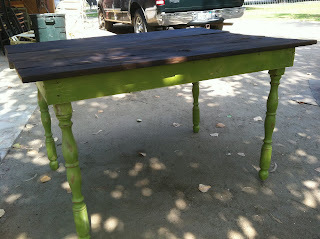 We sealed the top with Howards Feed n Wax and painted the legs a green and distressed.